The University of Sydney's Faculty of Engineering and IT has today announced its partnership with Korean multinational steelmaker, POSCO in a university-first. POSCO is the world's fourth largest steelmaker and is a key investor in Australia's resource sector across a range of commodities including coal and iron ore.
Over two years the partnership will be based on a knowledge exchange which aims to develop new technologies and capabilities in high performance steel and composite steel-concrete structures. The School of Civil Engineering will also play a key role in providing POSCO high level research support on steel and steel-concrete composite solutions used in civil engineering projects, which the Dean of Engineering and IT, Professor Willy Zwaenepoel is confident will have ongoing benefits for future infrastructure both in Australia and internationally. "We are committed to carrying out world leading research with world leading industry partners like POSCO. Working with the world's fourth largest steel manufacturer with a strong history of innovation will demonstrate the University's expertise to local and international markets," said Professor Zwaenepoel. "Steel materials and innovations are changing at a rapid pace, so the ability to work with POSCO to develop innovative solutions will be of great benefit to the University, but will also strengthen Australian and international infrastructure," he continued. 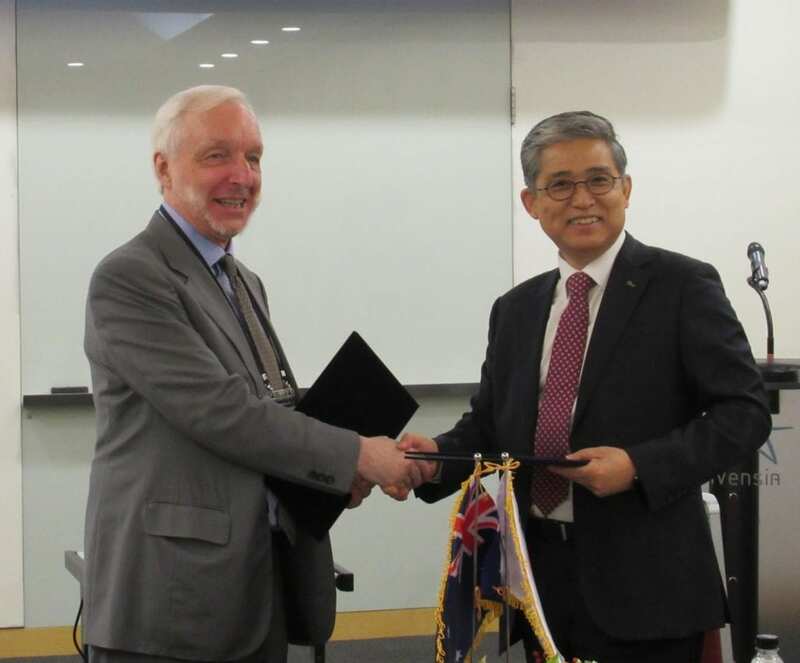 While the partnership with POSCO is a first, the University of Sydney has long played a crucial role in the development and research of steel whilst working collaboratively with steel industry and resource sector. "The University of Sydney has a proud history of innovation when it comes to construction materials. Since the early 20th century, we have conducted significant research into the area of steel and composite structures, which has allowed us to continue to play a leading role in the sector," said the Head of Civil Engineering and Chairman of the Standards Australia Committee on Steel-Concrete Composite Structures, Professor Brian Uy. "Significant building and infrastructure projects rely on high quality steel imports from across the world. Through the combined innovation and prominent industry roles of both POSCO and The University of Sydney, we're enthusiastic to collaborate on future research activities." The partnership will also allow for increased industry experiences and learnings for Civil Engineering students, who from POSCO will receive mentoring and internship opportunities, as well as access to workshops and guest speakers. Working alongside POSCO's Australian subsidiary, POSCO Australia, the University will also act as a preferred academic partner for construction-related Government projects, allowing academics and researchers in the School of Civil Engineering to contribute their research excellence and expertise.